One of the Pantone spring-summer 2012 colors is a bold Lilac called Bellflower. Seems pretty neglected from what I've seen in shops, while Tangerine Tango and Margarita are going to be the big hits of this summer. 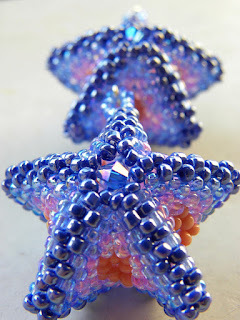 I was just looking at a huge bag of beads in this wonderful tone on Ilenia's blog. Have a look and drool! Maybe sharing brings good luck, 'cause after reading her post I looked at my shop and saw...1 more sale!!! and they happen to be in the same Bellflower color I was watching. Hope they will bring some colorful joy to my customer's summer!